At two-and-a-half years old, Emersyn Faith can say three and four-word sentences. She responds appropriately to questions and commands and she loves to make us laugh. She can complete given tasks, play “pretend,” engage with us in conversations, and has no problem making her feelings known. She can sing, count to three, and even fake cry! And all of this shocked me. 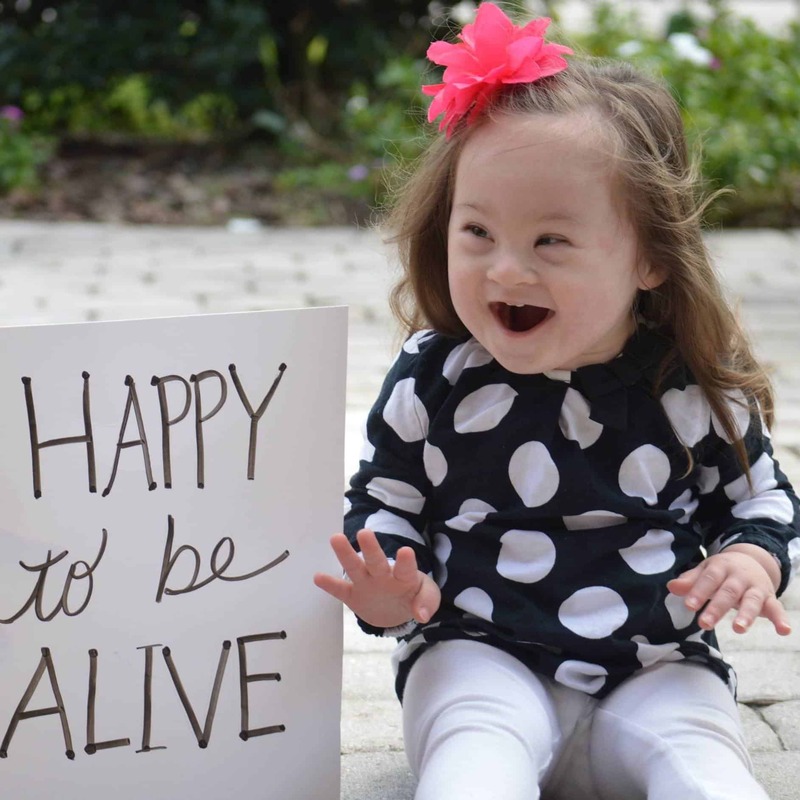 With a prenatal diagnosis of Down syndrome, we were told what Emmy wouldn’t do. So when she didn’t crawl until she was one year old and didn’t walk until she was nearly two, we weren’t surprised. While focusing on her physical milestones, she routinely plateaued, and even regressed, with speech and vocabulary. But as soon as she mastered walking, and then running, she began to grow exponentially with language. She was showing us what she could do. But… It’s in the doldrums of her plateaus that I can begin to doubt. She falls a little behind and I waste time worrying about a future that is already destined to be beautiful simply because she’s in it. Plateaus mean nothing but room to grow as long as I’m not watching the child standing next to her. When I realize that, then I can take a breath and just celebrate and enjoy her for who she is. Without a ceiling on her abilities, without restrictions on her potential. I recently spoke to a friend who was just told her daughter has a significant learning disability. She was in that initial gut-wrenching phase of the diagnosis and she was afraid of having to lower her expectations. I was so excited to tell her that she could keep her expectations high. Her daughter deserves that! For me, success will always be defined by the character of the person. What they accomplish has less importance to me than what it took to accomplish it. Does my child have delays? Maybe, but I don’t tend to notice. Does she have limitations? Maybe, but I haven’t found any yet. Does she keep trying and working and striving? Absolutely. And that is why she will continue to amaze me. Get to know Courtney by reading her story here!